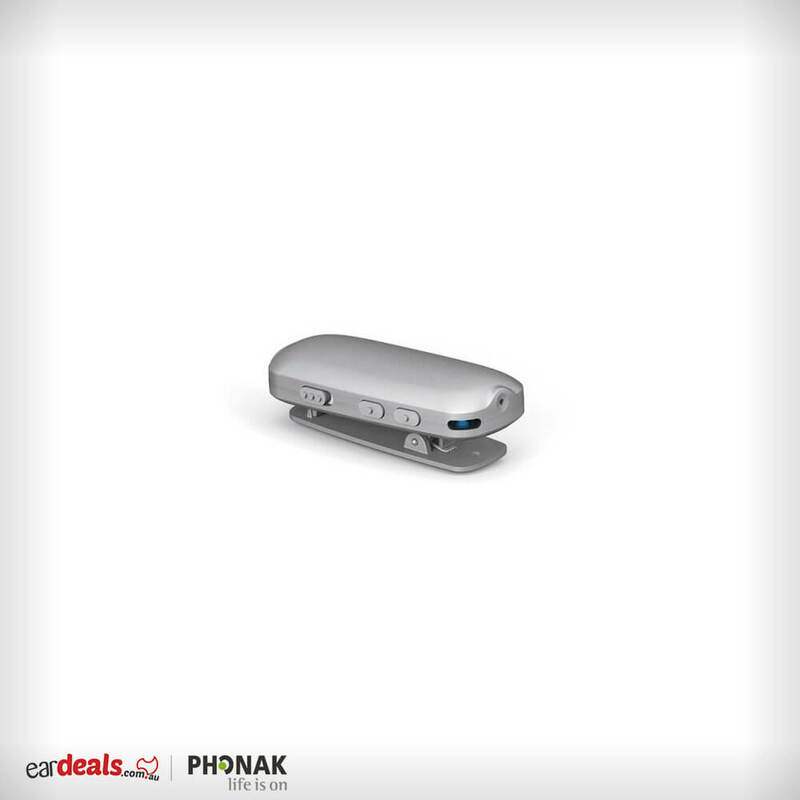 The Phonak RemoteMic is a lightweight, wireless clip-on microphone which pairs with the ComPilot, ComPilot II. 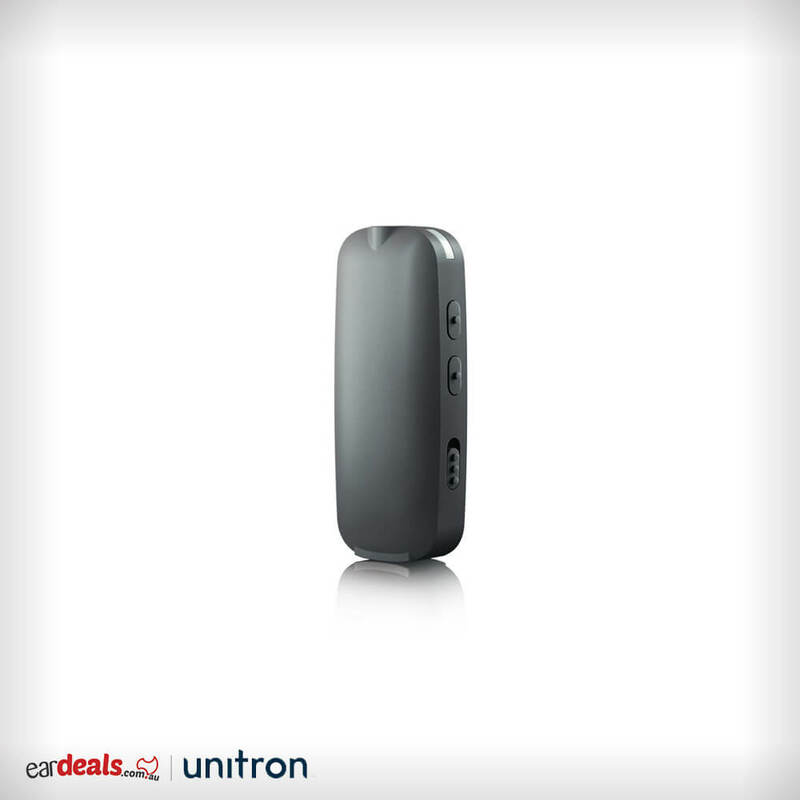 The device streams speech through Bluetooth technology up to a distance of 20 meters, providing greater clarity in noisy listening environments. Ideally, the device is best worn in controlled environments such as lectures, where it would be clipped onto the speaker’s collar or pocket to assist a hearing aid wearer placed with 20 meters (66ft) of the speaker. The device may also be placed next to other audio sources such as next to the Television, radio or on the table while having a catch-up over coffee. 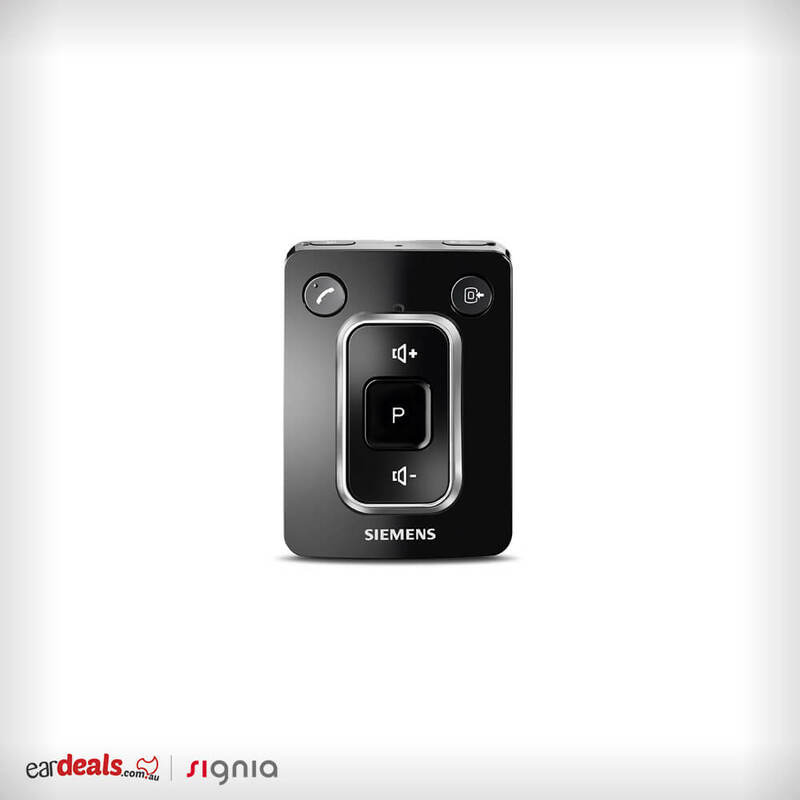 The device boasts a fixed omnidirectional microphone that distinguishes sounds from every direction. The Phonak PilotOne II Remote Hearing Aid Accessory is the simplest and most discreet option manufactured by Phonak to control the basic settings of your hearing aid. The remotes simplicity is perfect for people with poor dexterity in their hands or struggles to see buttons as glasses are not always available. Its ergonomic design lends itself to large buttons that allow the user to switch between program adjustments on their hearing aids and volume settings. Small enough to be carried around in the pocket the PilotOne II is the perfect solution for hearing aid wearers who are seeking a discrete on-the-go alternative to devices that may appear more complicated. Affordably priced the device is also finically economic with battery life on average lasting 12 months according to the manufacturer’s specifications. 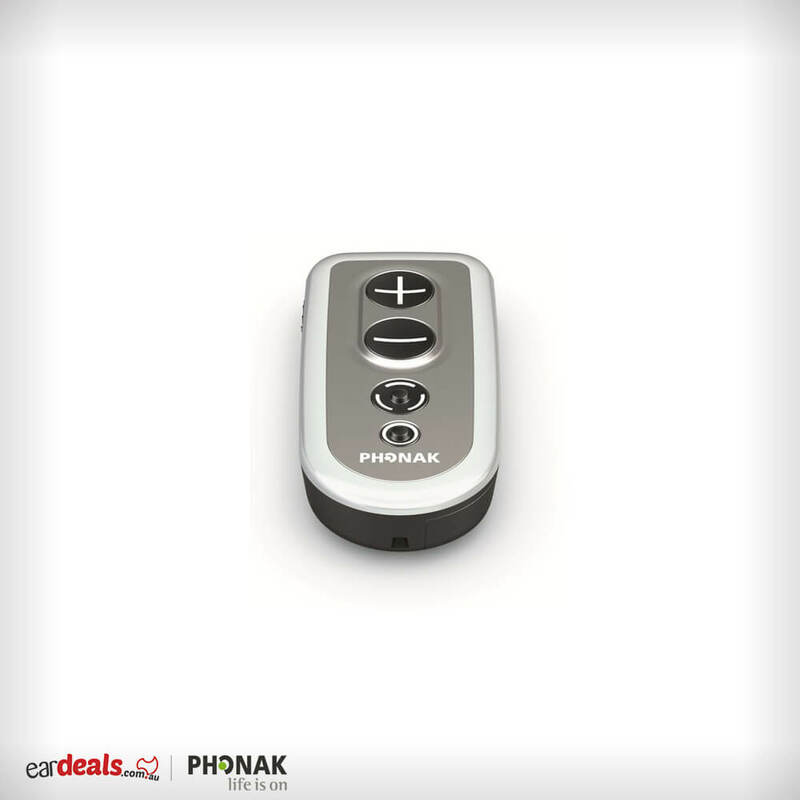 The Phonak PilotOne II Remote Hearing Aid Accessory is the hearing aid wearers best-kept secret! with a convenient one-touch operation. 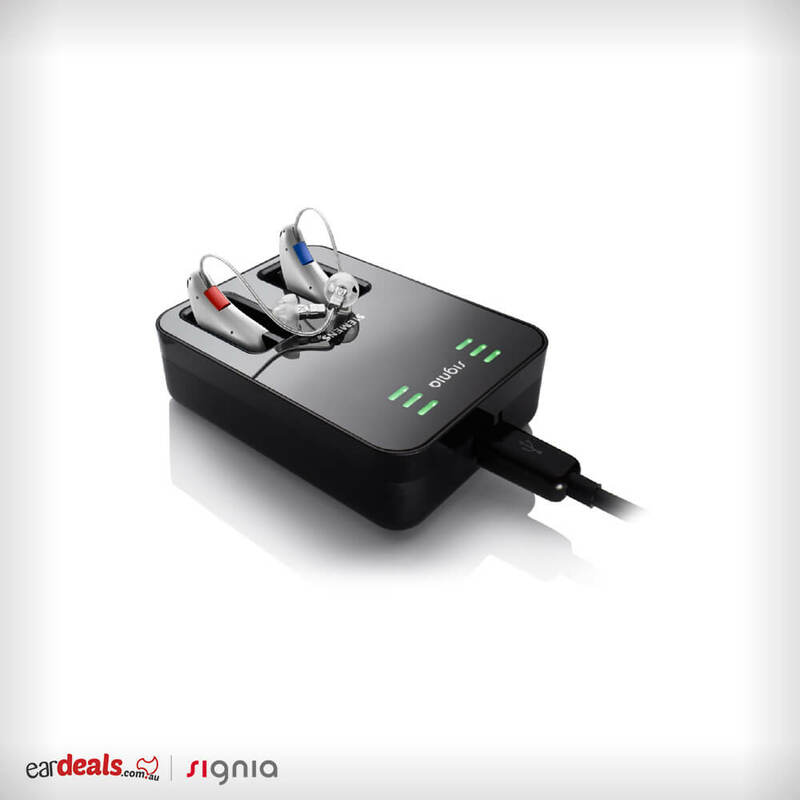 The device supports a multi-phone connection and has additional connectivity with T-Coil and DAI plugs.